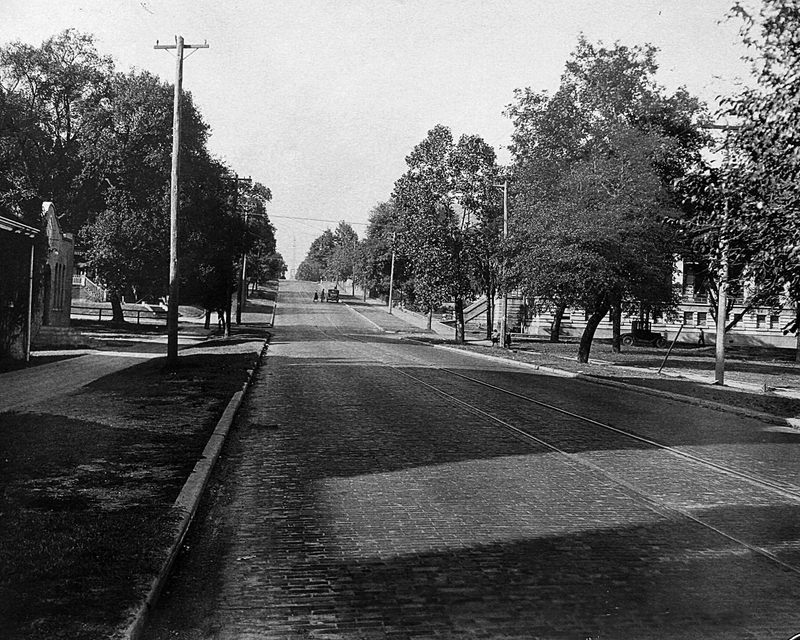 This is Palafox Street looking north from around Wright Street. The building that you see up on the right side about a block used to be the old YMCA building. The hill looks a lot steeper today than it did back around 1924 or 1925 when this photograph was made. This is one that someone had brought to me to copy and I saved a negative for myself. I have no idea who the photographer was since there were no markings on the print. Notice that the street was paved with bricks. You can barely make out the Confederate Monument at the top of the hill. Looks to me like this might be the corner of Wright and Palafox, as that looks like Christ Church on the left. What is interesting here is NOT the road, or the homes, or the brick street, but the prominent telephone pole! Pensacola got telephone service in 1902 (the same year that (new) Christ Church was built, and was quite proud that it was so progressive!